Notes: 1852-1964. 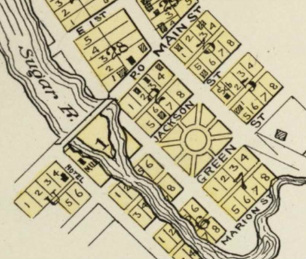 Joint District #8 included the Village of Mt. Vernon, Sections 3, 4 and parts of sections 2, 5, 8 and 9 in Primrose Township. The first school was built in 1852 in the Village of Mt. Vernon in Section 34 of Springdale Township. The town line crosses through the village with Primrose on one side and Springdale on the other. The school was a frame building. A larger, stone building replaced it in 1866. 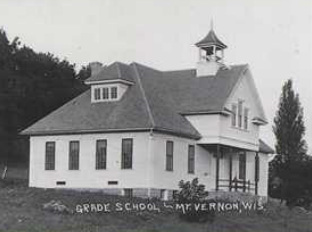 Following a decision by the Board in July, 1910 a new and larger school was built in the village and the “graded school’ concept was implemented in the new school. In 1964 after operating for 111 years the Joint District 8 Mt. Vernon-Primrose was consolidated into the Mt. Horeb School District with some children attending LaFollette Heights School and others going directly into Mt. Horeb. 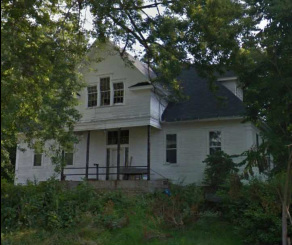 The school was closed in 1964, occupied as a residence for much time since and currently still sits on the site. Mary Lazers was the teacher in 1918 and Alice Bang (Brager) in 1922.